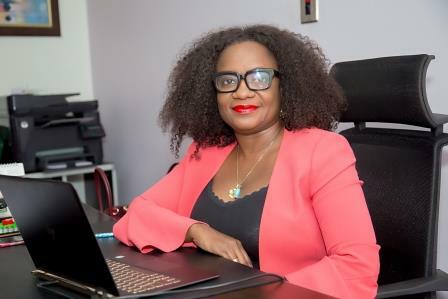 Ms. Duku is a highly successful individual with strong commercial insight and business flair with expertise in formulating new business strategies, building effective customer relations and spearheading new marketing initiatives to drive sales, success and profitability. She is the Managing Director for Kenthouse Securities Limited, a company which offers security services to individuals and corporate clients. 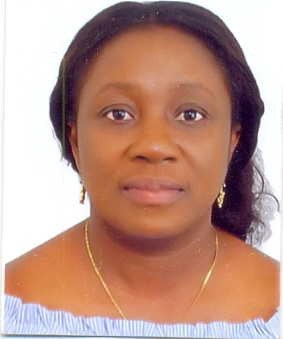 For over 16 years, Ms. Duku worked with First Atlantic Bank Limited as she rose through the ranks from Corporate Planning Analyst, Relationship Manager – Corporate Banking, Assistant Manager – Banking Services, Deputy Manager – Corporate Banking, Manager – Banking Services, Head of Corporate Banking to Head – Banking Services. Ms. Duku possesses excellent communication skills with the ability to interface at all levels. She demonstrates an absolute commitment to delivering the highest standards of customer service. She holds a BL from the Ghana School of Law and LLB from University of London, Postgraduate Diploma from Chartered Institute of Marketing, UK, Master of Business Administration from University of Wales – Cardiff and a BA Honors in English and History from the University of Ghana, Legon. He is a 65 year old Retired Army Officer having served with the Colours in the Ghana Army to the Rank of a Captain. A Graduate of the Royal Military Academy, Sandhurst in the United Kingdom, Capt. (Rtd.) Odiatuo-Kankam Bempong was commissioned into the Ghana Army In 1975. He served in various units of the Ghana Armed Forces and holding various appointments commensurate with his rank. He undertook United Nations Peace Keeping Operations in Sinai, Egypt under U.N.E.F. and U.N.I.F.I.L. in Lebanon. He left the Service in 1983. In civilian life, Capt. (Rtd.) Odiatuo-Kankam Bempong worked with Busi and Stephenson GH. Ltd. - a British Trading Firm as the Regional Manager for Greater Accra, KLM Royal Dutch Airlines as Head of Security and The Royal Netherlands Embassy in Accra as a Field Worker. He is presently a Co-Shareholder/Director Of Debill Services Ltd. - a Private Security organisation with specialty in Aviation Security as well as Electronic and Man-Guard Security. In addition, he is the Sole Proprietor of Eagle Eye Consultancy which undertakes investigations/verifications of documents for and on behalf of certain Foreign Missions in Accra. Capt. (Rtd.) Odiatuo-Kankam Bempong is married with six children. He is a Christian and fellowships with Endtime Revival Mission, Tema, a non-denominational fellowship that believes in the Spoken Word Ministry. He delights in religious music and literature, games (especially football) and travelling.